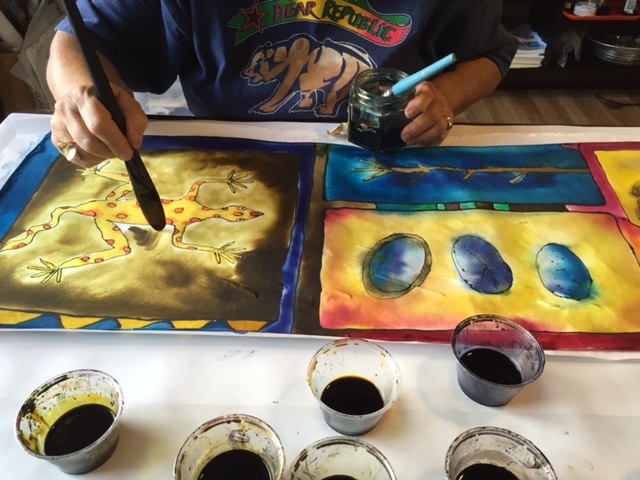 Carol Baker teaches an easy method of painting on silk. Participants look at samples for ideas, experiment with stencils, stamps, and various paint brushes to make beautiful art! 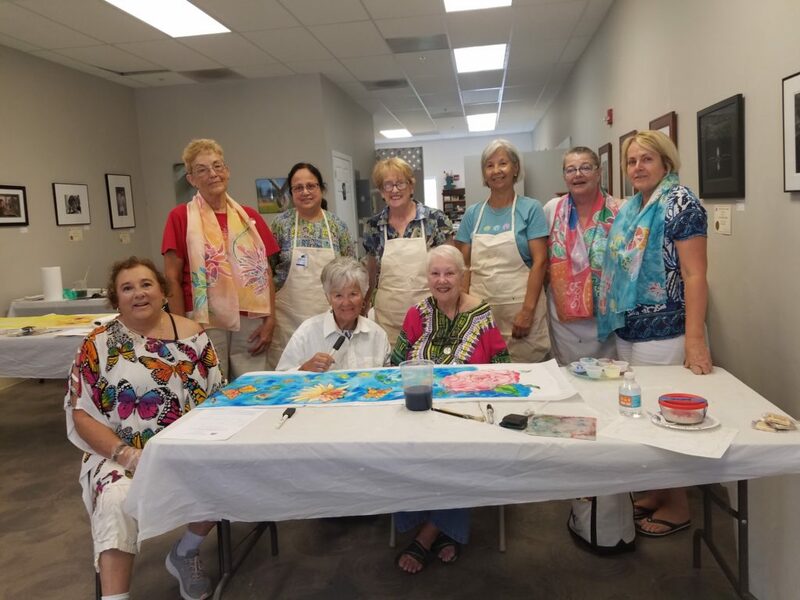 Non toxic paints are used to make beautiful silk scarves, handkerchiefs, storytelling scarves, or other clothing in a 3 hour workshop. Prices will vary per workshop from $250 – $1000 or more depending on the class. CAROL BAKER is a nationally known textile artist with 20 years experience, including: teaching well-loved silk painting workshops, being featured on the Whitehouse Christmas tree for eight years during the Clinton administration, showings in the Palace Legion of Honor in San Francisco, stores in New York, Pennsylvania, Hawaii, Arkansas, Texas, Alaska and other places on the West Coast.